A Korean translation of Keith Negus’s canonical work Popular Music in Theory: An Introduction was out on August 31. 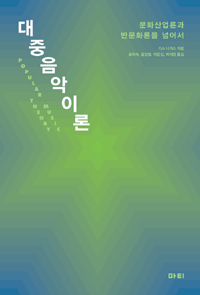 The title of the Korean translation is, literally translating, Popular Music Thories: Beyond the theory of culture industry and that of countercultural theory (대중음악이론: 문화산업론과 반문화론을 넘어서). Translated by Hawsook Song et al and published by Matibook. Table of contents is the same of English version.